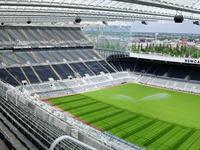 Home to Newcastle United and the sixth largest football stadium in the United Kingdom. Located in the centre of Newcastle, its white cantilever roof, the largest in Europe, is visible across the city. Besides Premier League football, St. James' Park has also been used for international football, as a football venue for the 2012 Olympics. The stadium will also be used as a rugby venue for the 2015 Rugby World Cup. The Metro Radio Arena Newcastle, officially ranked 7th as one of the world’s busiest venues by Pollstar magazine, is the largest concert and exhibition venue in the North East of England. The Metro Radio Arena has a strong commitment to the North East as a region, and is more than capable of supporting the very best in entertainment in this superb 40,000sq metre site. 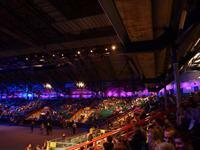 Since its opening in 1995, Metro Radio Arena quickly established itself as a superb venue and major North East Landmark.